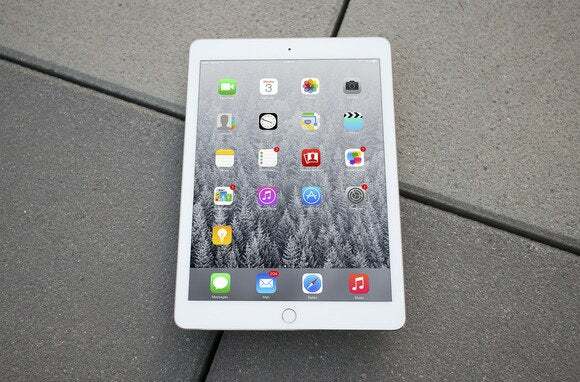 Apple's next tablet will reportedly start at 32GB for $599. 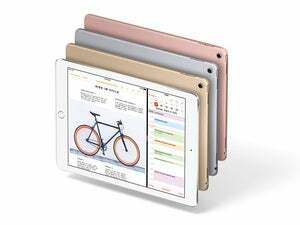 Apple shook up its tablet lineup last fall with the 12.9-inch iPad Pro, a laptop-sized device that supports stylus input from the Apple Pencil and snaps to a Bluetooth keyboard. Even the iPad mini got a major overhaul last year. But the Pro’s size and new features have a higher price tag attached, one that’s squarely in the laptop range, and while the iPad mini 4 is an amazing device, it’s too small for many people. iPad sales continue to plummet, as Apple’s Q1 earnings showed, so Apple is gearing up to take the wraps off a new 9.7-inch tablet next month. We thought it was a big upgrade to the iPad Air lineup, but now it looks like the new tablet is actually a pint-sized Pro model. 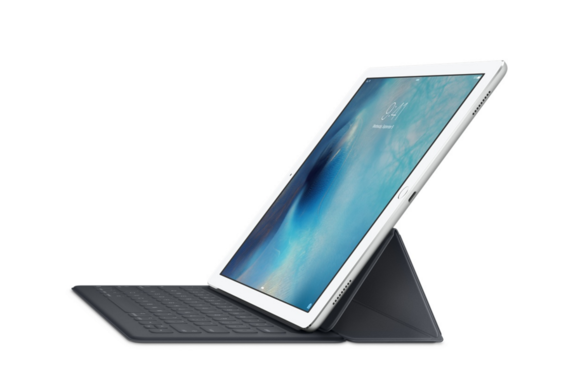 If its rumored features come to be, this mid-sized iPad could convince hold-outs to upgrade. Here’s everything we know so far. The rumor: Mark Gurman at 9to5Mac has a very last-minute prediction about the price. He says that the new iPad will start at $599, up from its traditional $499 price, but that the new entry-level will come with 32GB of storage instead of 16GB. Plausible? Of course! And we hope it’s a new trend. We’ve been saying for years that 16GB is a tough amount of storage to live with, as recently as this week’s podcast. It’d be a a lot cooler if Apple kept the cheapest iPad at $499 and just gave it 32GB of storage, but it’s something. The rumor: The camera on this iPad is expected to be amazing, if you’re into shooting photos with your tablet (we’re only judging a little bit). How amazing? As good as the iPhone 6s, 9to5Mac reports. While the 12.9-inch Pro and the 9.7 inch iPad Air 2 sport 8-megapixel rear cameras, the 9.7-inch Pro is expected to ship with a 12-megapixel camera like the 6s, plus the ability to shoot 4K video. The mini Pro’s camera may also have a rear flash, but those rumors have faded in recent weeks. No other iPad has an rear flash, but if Apple is bringing 9.7-inch tablet’s camera up to the 6s specs, then it’s not out of the realm of the possibility. Plausible? iPad photography is controversial, but it makes sense for a creative powerhouse like the Pro to have a great camera. That way, you can shoot and edit images using the same hardware if your heart desires. What makes this iPad a small Pro and not an Air? The rumor: The 9.7-inch tablet on deck for Apple’s rumored March event reportedly has most of the Pro’s major features, starting with amazing audio. The Pro has four speakers, which the mini Pro will also have. Dual stereo speakers improve streaming music and video quality, because the sound is crystal clear no matter which way you held the device (unless you’re covering all the speakers, which would be a little crazy). Plausible? Separate drawings of the tablet leaked to Engadget and 9to5Mac, plus a leaked mock-up case design, all show four speakers. Case designs aren’t the most reliable, and anyone can whip up an illustration of features they’d like to see in a device, but it would make sense for Apple to bring the Pro’s speakers to the 9.7-inch model, especially if it has the Pro’s name. Apple is reportedly adding a Smart Connector to the iPad Air 3 for easily attaching smart keyboards. Will Apple do any new accessories? The rumor: The new tablet to be announced in March is also getting the Pro’s three-pronged Smart Connector for snapping to accessories like an Air-sized Smart Keyboard, according to leaked drawings obtained by Engadget and 9to5Mac. Plausible? Yes. Apple designed the Smart Connector so you can easily use a keyboard without Bluetooth pairing, and the two-way data/power transfer makes the keyboard easy to use. The company is reportedly producing a smaller version of the Smart Keyboard for use with the 9.7-inch Pro. The rumor: It wouldn’t be an iPad Pro without a new display to support the Apple Pencil, and 9to5Mac reports that Apple is indeed making a 9.7-inch tablet with Pencil support. This is huge. Plausible? We hope so! Apple Pencil is one of the coolest Apple accessories we’ve seen in action, and if this tablet has a Smart Connector and a mini Smart Keyboard, it only makes sense for it to support the Apple Pencil, too. Will it have 3D Touch? The rumor: No, at least not according to analyst Ming-Chi Kuo, who put out a research note for KGI Securities predicting that “production issues” will prevent Apple from adding 3D Touch to the iPad display. Plausible? 3D Touch is one of the hallmark features of the iPhone 6s and 6s Plus, and is similar to the pressure-sensitive display in the Apple Watch and pressure-sensitive trackpad in the 12-inch MacBook. It would be a little strange if Apple didn’t bring the iPad in line with the rest of its devices, but the company didn’t put 3D Touch in the iPad Pro, either, so perhaps KGI’s supply chain forecast is on point. The rumor: The mini iPad Pro, if it is indeed a Pro, is on deck for a March debut, according to BuzzFeed, alongside an Apple Watch refresh and a 4-inch version of the iPhone 6s, reportedly called iPhone SE. The site reports that Apple will announce the new tablet at a March 21 event. Plausible? All signs point to a new iPad this month—we’ll see if it’s an iPad Pro mini or an iPad Air 3.